After a catastrophic epidemic kills every adult on earth, vampires arise from the shadows to enslave the remaining human population. Yuichiro escapes from captivity and joins the Japanese Imperial Demon Army. But before he’s allowed to fight vampires, he has to complete his first, terrifying mission–make new friends with his fellow aspiring monster slayers! Now that Yuichiro has earned his place in the Japanese Imperial Demon Army, he prepares to undergo a fiendish test to acquire the most powerful and deadly of humanity’s weapons against vampires—Black Demon Series Cursed Gear. 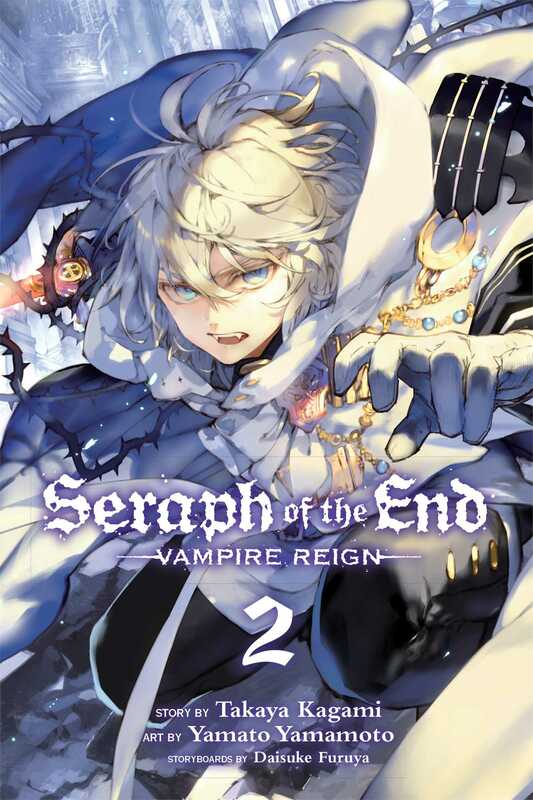 Meanwhile, the vampire nobility welcome a new member—Mika, the best friend Yuichiro thinks died in their escape but who has his own bitter story of survival.